This book is a gem in its description of Utzon’s own two houses on Mallorca – perhaps the finest private houses created in our time. This book, which has been edited by John Pardey and written mainly in a most agreeable manner, tells the story of the buildings and Utzon’s architectural intentions so successfully that it could only have been bettered by a movie or by visiting the site. … Best of all, it will fit in beside LE CORBUSIER’S Une Petite Maison. In 1972, Jørn Utzon found sanctuary by building a house on the island of Majorca. Perched on a cliff top looking towards Africa and built of the local stone, he named it Can Lis, in honour of his wife. Some twenty years later, Jørn and Lis Utzon moved inland to a mountainside and there refined the stone architecture of Can Lis in the making of a new home, Can Feliz. With Can Lis, Utzon defined the essence of a modern Mediterranean architecture. His ability to assimilate and express a culture through architecture was already evident in the first house he had built for himself, in 1952, at Hellebaek in Denmark. Later, in the Kuwait National Assembly building, he created a persuasive model for a modern Islamic architecture, whilst in Sydney he made a building that has come to stand for a city and a nation. Can Lis and Can Feliz have been, like their architect, elusive – reclusive even – yet they deserve to be included amongst the succession of houses that, more than any other building type, defined the course and achievements of twentiethcentury architecture. 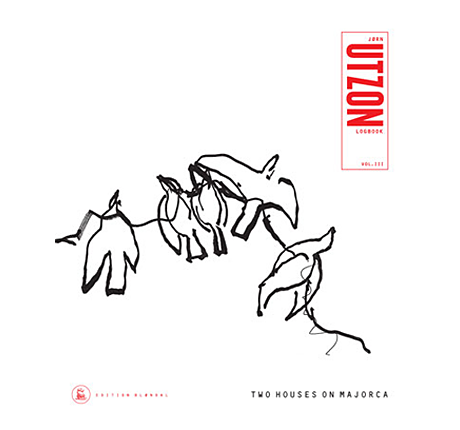 Through comprehensively documenting his houses on Majorca this book demonstrates how, by tapping into the particularities of place and culture, Utzon was able to create a seemingly timeless architecture of universal interest.